Clinical Contact’s social media features make it easy to manage the conversations that are already taking place about your practice on Facebook and Twitter. 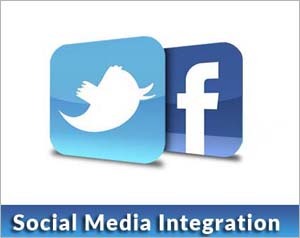 Use our platform to integrate your SMS and email campaigns into social media pages like your Facebook fan page. This increases visibility and helps increase engagement, loyalty, and ROI. Empower your patients to share your offers with trusted friends and contacts. Since social media has a strong viral component, Clinical Contact makes it easy for your patients to share your message with friends. This will help increase awareness and grow your patient base. 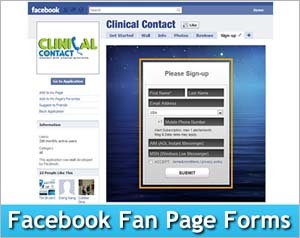 Clinical Contact’s Facebook widget is a great way to generate leads and build relationships with active users on Facebook! Offer incentives (we provide done-for-you prospect stimulators on over 10 different topics in our done-for-you section including books on back pain, knee pain, weight loss, arthritis and much more) and collect contact information from Facebook users. This data is automatically added to your Clinical Contact account. The more you promote your Facebook sign up form, the more contact information you’ll collect. This will help you build a large mobile database and dramatically increase the effectiveness of your marketing campaigns. 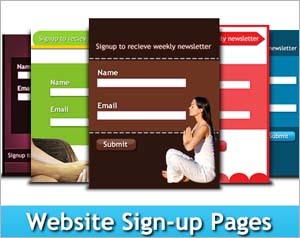 Create online signup pages to collect contact information of website visitors. This information is automatically added to your Clinical Contact database. Choose from dozens of pre-designed templates or design your own to match your website. Send an auto-responder (automatic response) immediately via email, IM, text message, or all three to someone who signs up on your website. You can easily create a website sign-up page with its own unique URL that you can tie to your website. For example, your website can have a link “Click Here To Get a FREE Book on Low Back Pain” which takes visitors to your sign-up page. You can easily create an Online Sign-up Page (OSP) with its own unique URL that you can tie to any website. For example, your homepage can have a link “Click here to register your contact information” that links to your OSP. 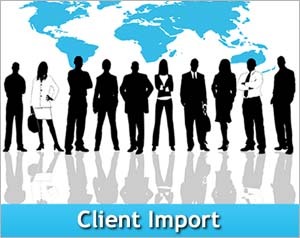 Quickly and easily import and export mobile numbers, instant message screen names, and email addresses via CSV (Excel) files. Filter a list of opt-in phone numbers so that you can send messages to mobile phones only. Click on a distribution list to see the sign-up date for each contact. Sort a distribution list by source, area code and wireless carrier. 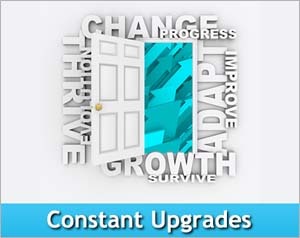 Here’s the best part – our technology is constantly upgrading to give you the most cutting edge features to help you grow your practice!